This stunning modern 4/5 bedroom detached residence has accommodation over 3 floors comprising spacious reception hallway, downstairs cloakroom/wc, lounge/diner opening into a superb kitchen/breakfast room, separate utility room and a study. 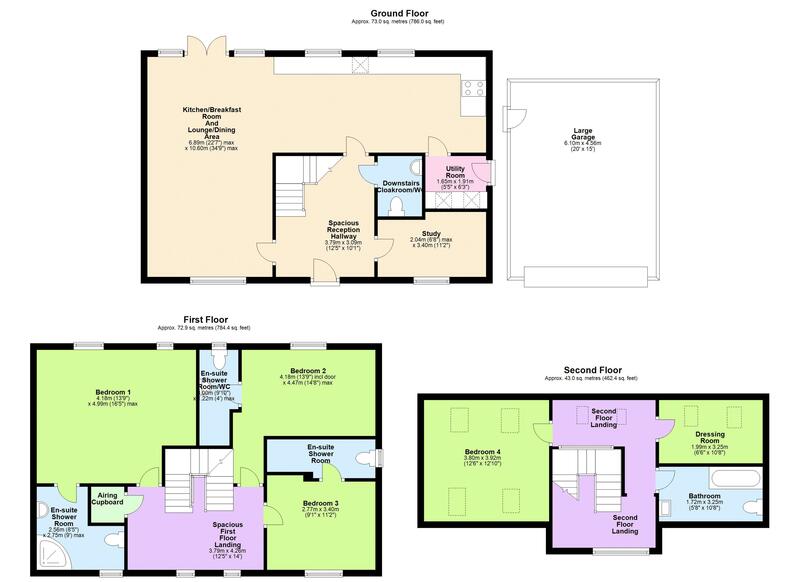 On the first floor there are 3 double bedrooms all with en suite facilities. 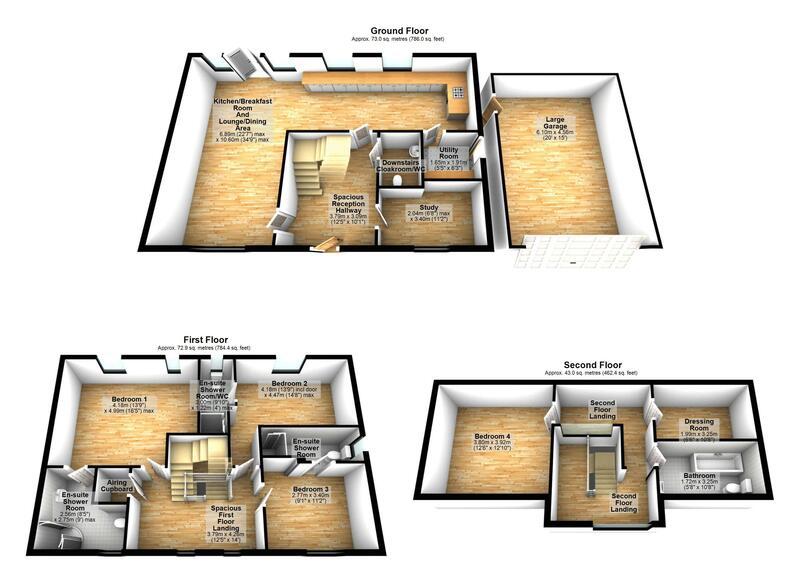 On the second floor there is a master suite including a double bedroom a dressing room and a bathroom/w.c. The property has been finished to a very high specification to include a quality fitments in the kitchen and bathrooms and oak staircase to both floors. Outside there are level gardens, attractive block paved driveway and single garage.